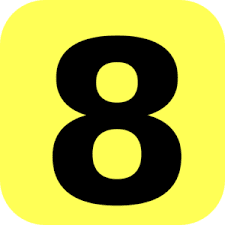 Those born on 8,17,26 of any month are said to have number 8. These people are very intelligent and also blend with the surroundings quickly. They think well before doing anything so people who marry them don't suffer much. These people even if they do not get love from their partner they don't complaint it's also seen that their love remains incomplete. These people think more about others and in the process somehow they are left behind and do not get their due love. Still number 1,7 are good for them as they don't have to work much on with them for compatibility. They serve as good friends and spouses at times people are do not understand them quickly which is bad for them. Fate gives them everything but very late.